Not sure why I'm a fan of goofy blond curls on baseball players. Was it the post-disco zeitgeist? 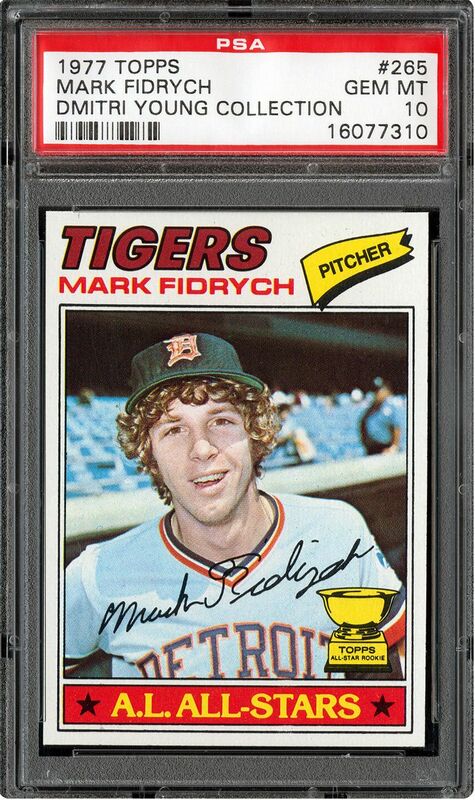 The Fidrych Effect? 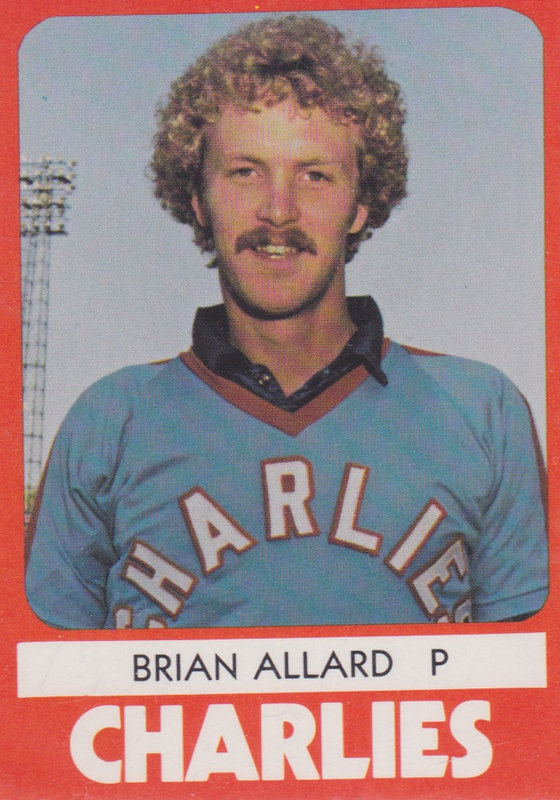 Anyway, add Brian Allard to that list of xanthic fashionistas. Nice jersey! HARLIE-DAVIDSON WOOOOO! VROOM VROOOO....oh. "Charlies." As in, "the International League team from Charleston, West Virginia." 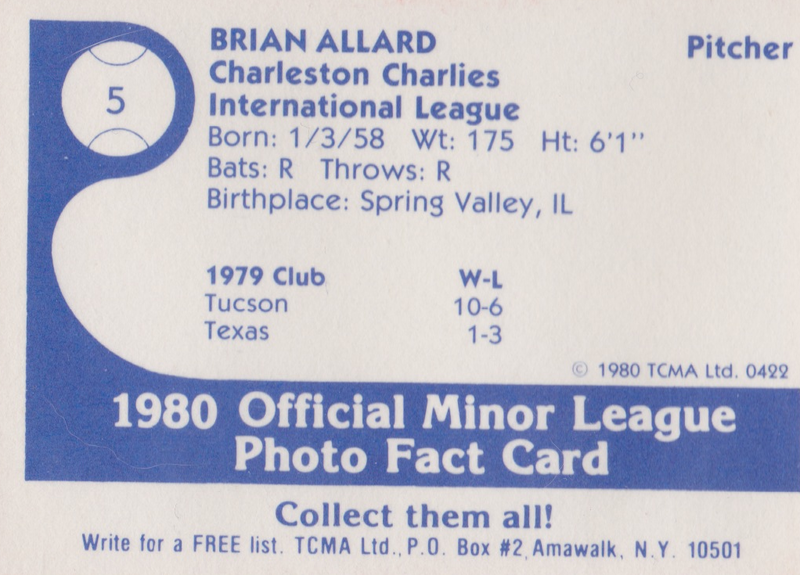 My 9 year-old self remembers Brian Allard for his 1981 stint in a Mariners uniform (game logs), which followed this big trade for Texas slugger Richie Zisk. 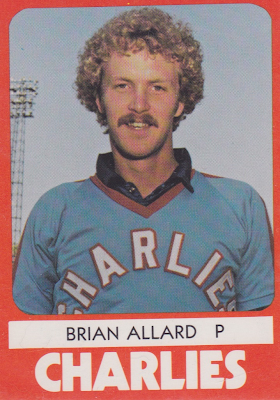 December 12, 1980: [Brian Allard] traded by the Texas Rangers with Steve Finch, Rick Auerbach, Ken Clay, Jerry Gleaton and Richie Zisk to the Seattle Mariners for Larry Cox, Rick Honeycutt, Willie Horton, Mario Mendoza and Leon Roberts. Zisk stepped into the DH role vacated by 39 year-old Horton, who Texas ultimately released before the 1981 season. Rick Honeycutt nabbed an ERA crown as a starter in 1982, then evolved into a Tony LaRussa relief specialist for Oakland and St. Louis. Speaking of roster moves, what else did Seattle's do with their side of the trade, other than Steve Finch (who never reached the bigs)? October 23, 1981: The Seattle Mariners released Rick Auerbach. March 29, 1982: The Seattle Mariners released Ken Clay. June 27, 1984: Jerry Gleaton traded by the Seattle Mariners with Gene Nelson to the Chicago White Sox for Salome Barojas. January 16, 1985: Richie Zisk released by the Seattle Mariners. At least Seattle got 3 solid (121 OPS+) seasons from Zisk, who retired following his 1985 release. A 1980 article about the trade noted a few other deals (both real and potential) I'd forgotten about. Fred Lynn almost swapped for Ron Guidry? Whitey Herzog acquiring future HOF relievers Bruce Sutter and Rollie Fingers and then flipping Fingers to MIL? That's a busy off-season. Here's another look at that Seattle Mariners trading acumen. November 18, 1980: The New York Yankees traded Brad Gulden and $150,000 to the Seattle Mariners for a player to be named later and Larry Milbourne. The Seattle Mariners sent Brad Gulden (May 18, 1981) to the New York Yankees to complete the trade. Yup, trading a dude for himself. Mariners fever! Catch it! TCMA printed 17 Charleston Charlies, below average for 1980 team sets. Value: This #5 cost $2 from MinorLeagueSingles.com and team sets run $15-20 on eBay. Fakes / reprints: TCMA reprinted several of their 1980 teams for "collectors kits" in the late 80s. The reprints have black ink backs instead of blue.